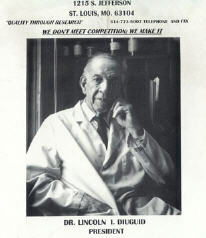 Dr Lincoln Diuguid was the recipient of the first “Salute to Excellence” ever awarded by the St Louis Section, November 11, 2000. On January 27, 2015, at the age of 97, Dr Diuguid died at Beauvais Manor. He had been diagnosed with pneumonia and flu. 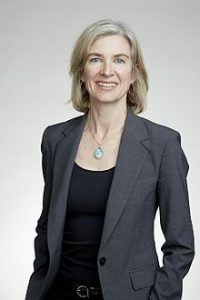 [a]n executive at a chewing gum company in New York City offered him a coveted position as assistant research director. There was just one catch: It was the 1940s. He had to agree to “pass” as a white man and to never hire a black man. Diuguid … was a light-complexioned African-American. He refused—and didn’t get the job. He moved to St. Louis and started his own business as an inventor and scientist. Dr Diuguid’s “Salute to Excellence” citation told what we knew about him at the time, including a summary of his most significant inventions and research endeavors. In 2007, he received the first “Blacks in Science” award from the St. Louis Science Center. Until just a few years ago, he continued his work at the Du-Good Chemical Lab & Manufacturers near Jefferson and Chouteau in downtown Saint Louis.